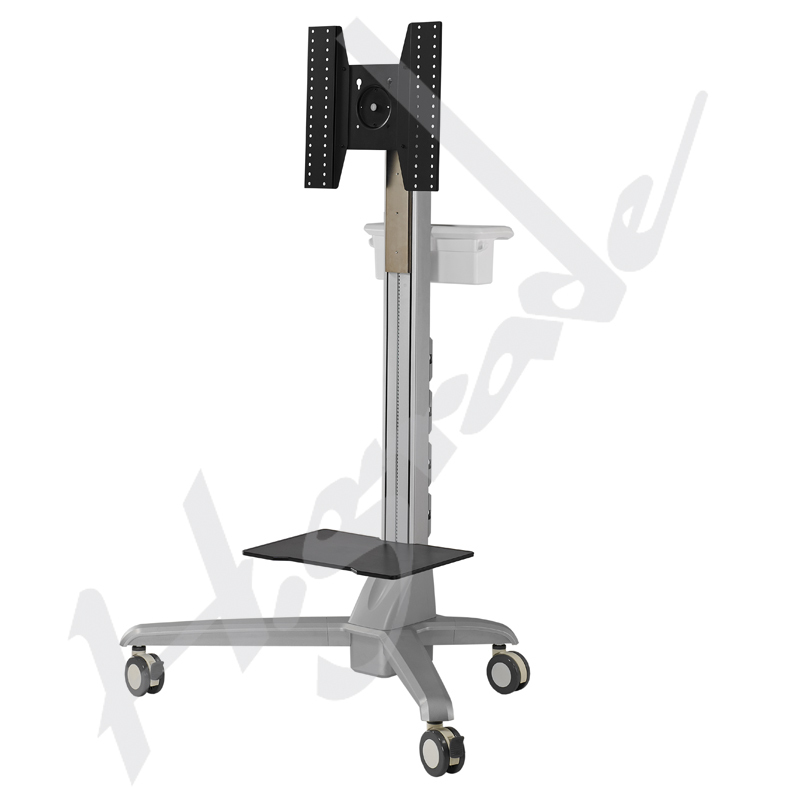 Electrical Lift Conference Mobile Display Trolley Cart with Documents basket handle and Tray, CTP440 - HIGHGRADE TECH. CO.,LTD. CTP440, defined as a mobile Trolley for digital contents & conference, featured as an powered cart platform with electrical LIFT for display. It’s designed to support one large display at a max. 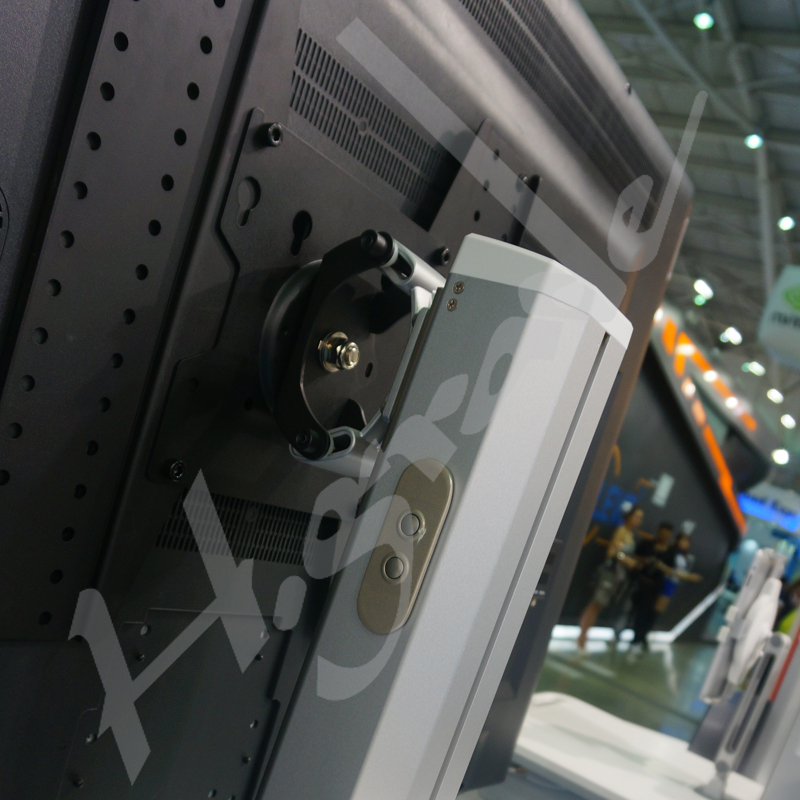 mount pattern of 400 x 400 mm while e-lift shall park display at the position you expect. The mount module can be swiveled, tilted & rotated while its torque can be adjusted as well. A device tray & storage bin will be a default accessory along with the package. 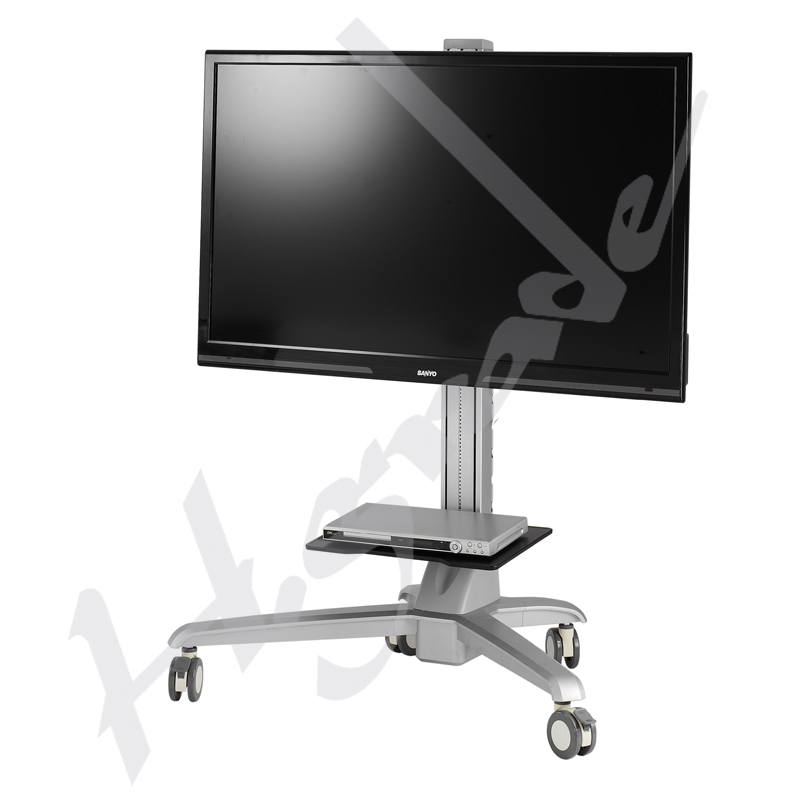 TP440 is a versatile mobile display cart with electrical lift that supports screen sizes from 26” up to 52”. Its maneuverability provides you an edge in presentation. With eye-catching design and top build quality, what more can you ask for? 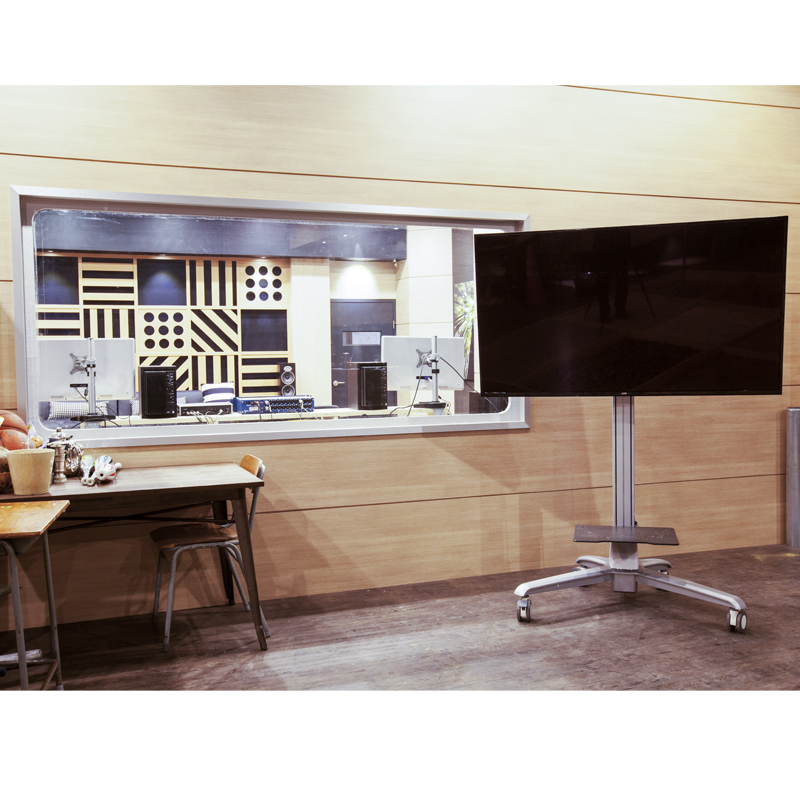 Great for workshops, lectures and press conferences, CTP440 delivers the best visual experience at optimal viewing angles of your choice.